The Caryatids, six female figures sculpted into columns, have received a long overdue make-over. 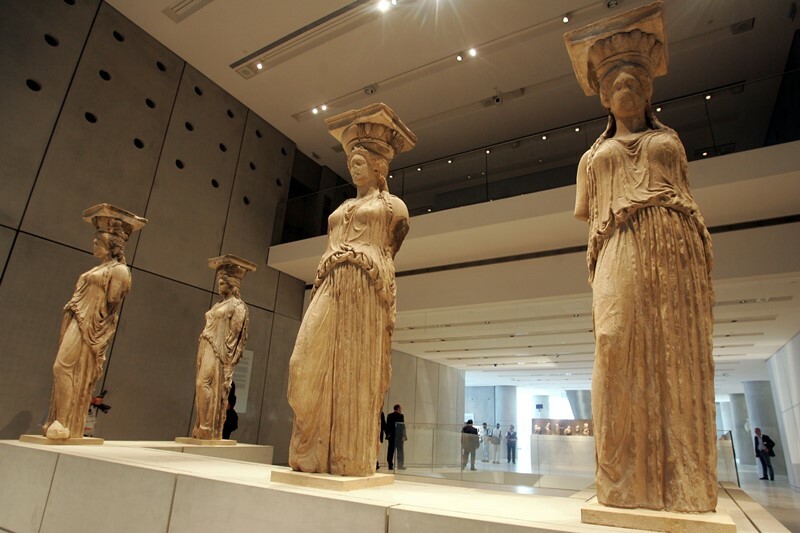 Originally erected near the Parthenon, in the entrance of a temple sacred to Athena and Poseidon, the five remaining maidens have resided protected in the Acropolis Museum since 1979 when they were replaced with detailed replicas (the sixth was taken to England in the early 1800’s as a part of the disputed “Elgin Marbles“). The sculptures had layers of grime from industrial exhaust and had suffered damage from artillery fire during various conflicts over the years. Now, after three years of meticulous work, the figures have been returned to their original cream-colored beauty. Restoration workers used dual length lasers to erase the soot and dirt millimeters at a time. Read more at the New York Times and The Acropolis Museum site. Read more at the New York Times and The Acropolis Museum site.